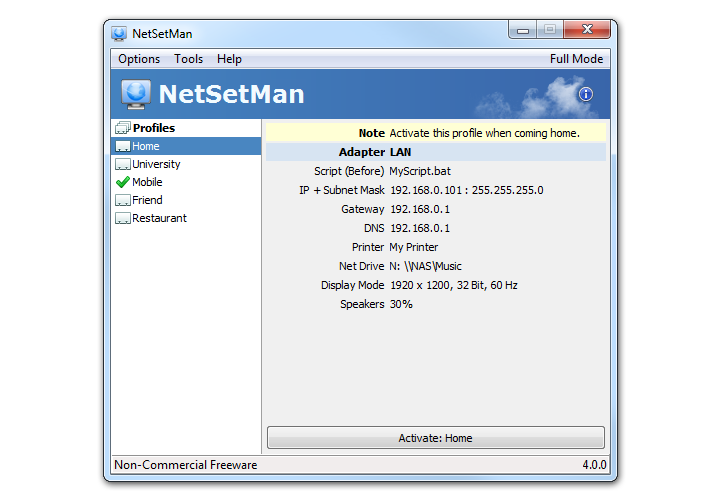 Are you tired of manually changing your location-based network and system configuration on your laptop computer every day? 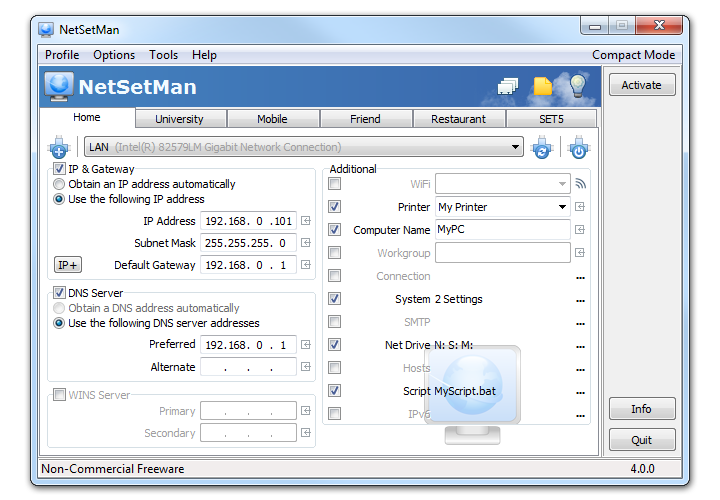 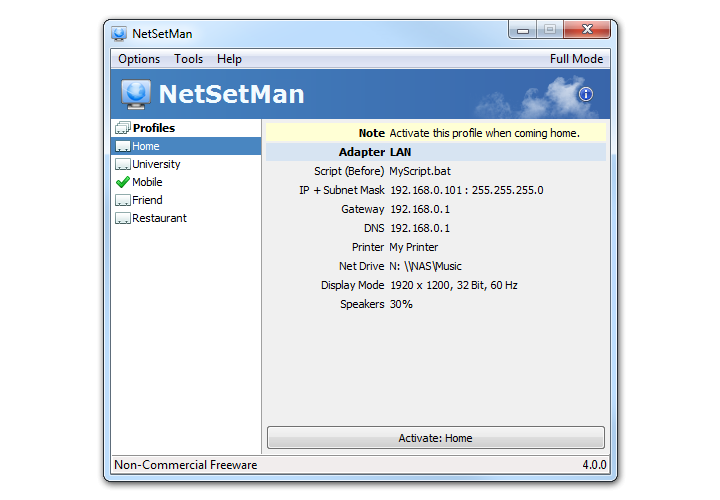 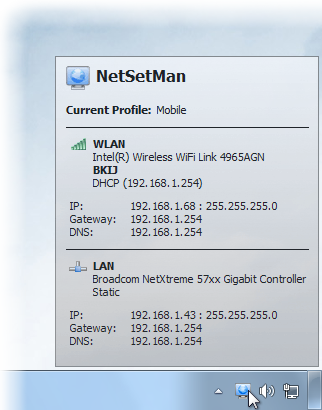 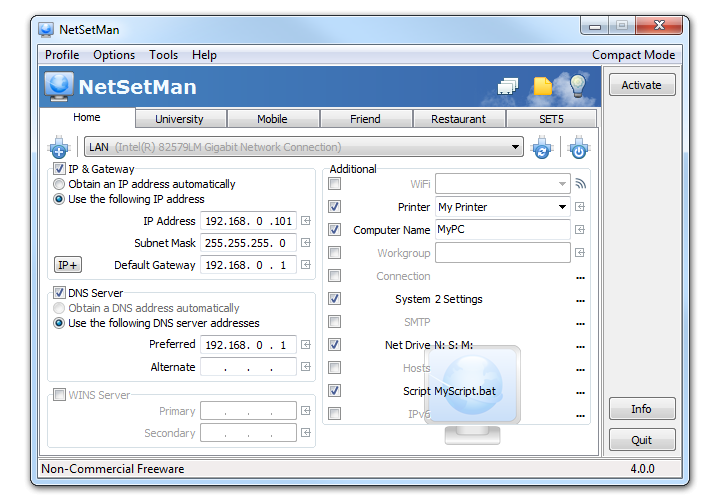 Then NetSetMan is your solution. 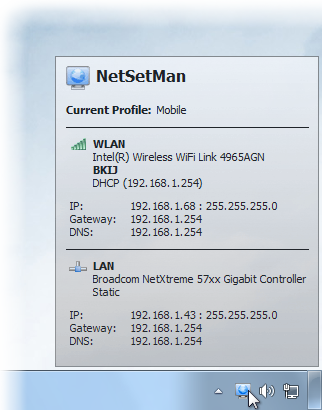 It will do the work for you. 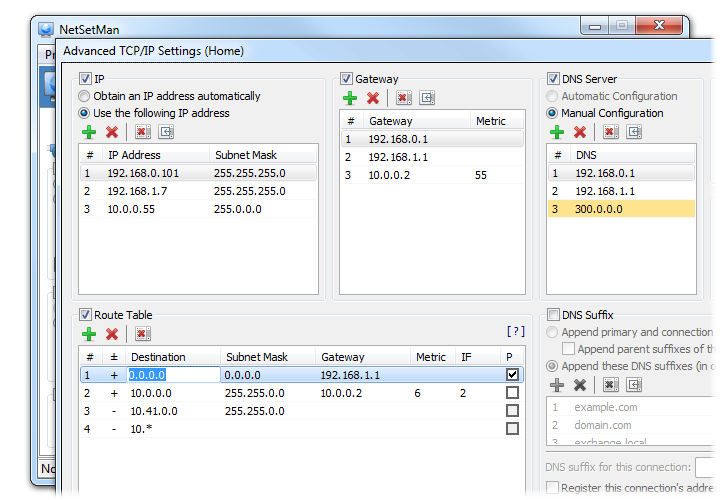 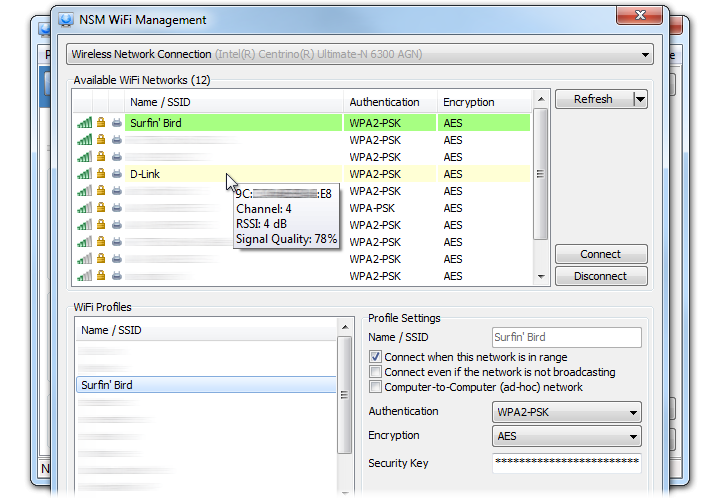 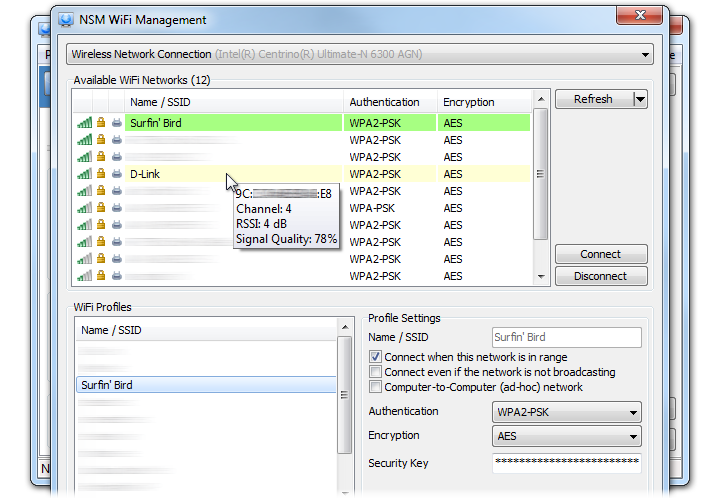 Switch between configuration profiles for different locations instantly!